The 57th edition of CHI Geneva will take place at the Palexpo from December 7 to 10, 2017. Over four days, the world's best in show jumping, driving, dressage, and eventing will vie for the place of honor in their respective disciplines. It's sure to be a spectacular event! Created in 1926, CHI Geneva is one of the most prestigious equestrian competitions worldwide. Each year, the world's best riders and drivers compete at the Palexpo, the largest indoor arena on the international circuit (5,400 m2). For the ninth time in its history, CHI Geneva was voted "Best competition of the year" (November 10, 2017)! Awarded by the prestigious Horse International Yearbook and International Jumping Riders' Club (IJRC), this distinction also recognizes the work put in by the committee and some 700 volunteers who together make CHI Geneva a success. CHI Geneva is one of the competitions of the Rolex Grand Slam of Show Jumping. This elite event presents the four most legendary equestrian shows in the world bound by tradition and excellence: CHIO Aachen (Germany), the Calgary Spruce Meadows Masters (Canada), the Dutch Masters of 's-Hertogenbosch (the Netherlands), and CHI Geneva (Switzerland). 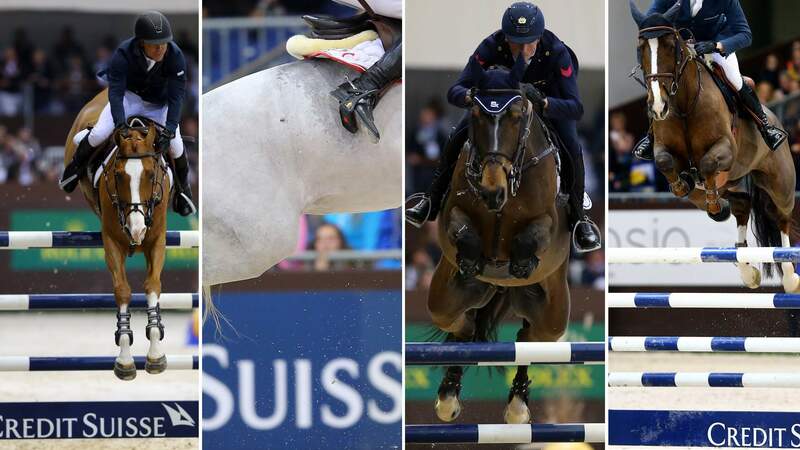 The ultimate challenge of riders for many years, these four majors comprise the Grand Slam of Show Jumping, a concept already familiar in the sports of tennis and golf. Main sponsor of CHI Geneva since 2008, Credit Suisse is also very proud to be part of the extensive family of exhibitors for this 57th edition. Switzerland's first digital money box, Digipigi, will be part of the excitement at the world's most prestigious equestrian event, and will be presented to children and their parents on all four days at the Viva Kids booth.